Hi, today I have a sweet card that you too can make for a special lady in your life. I designed this card for the Linnie Blooms Design team and company. 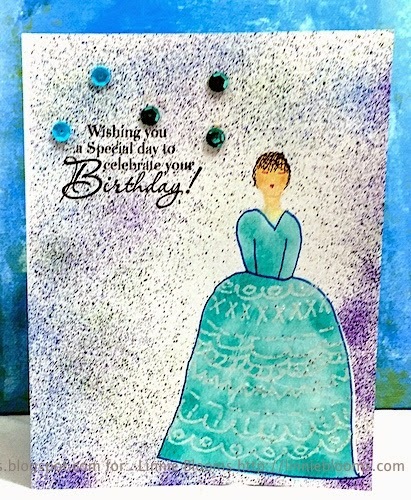 Over at Linnie Blooms I explain the steps involved in making this, which include stencilling, masking, and embossing. I enjoyed looking at some of my older supplies in a new light and incorporating them with some brand new to the market products. Please, subscribe to my Youtube channel and follow me around on social media by clicking on the links in the side bars.